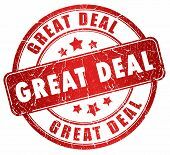 The Price of this Shirt is Determined by the Materials You Choose! premium sequined material and white mylar fringe. 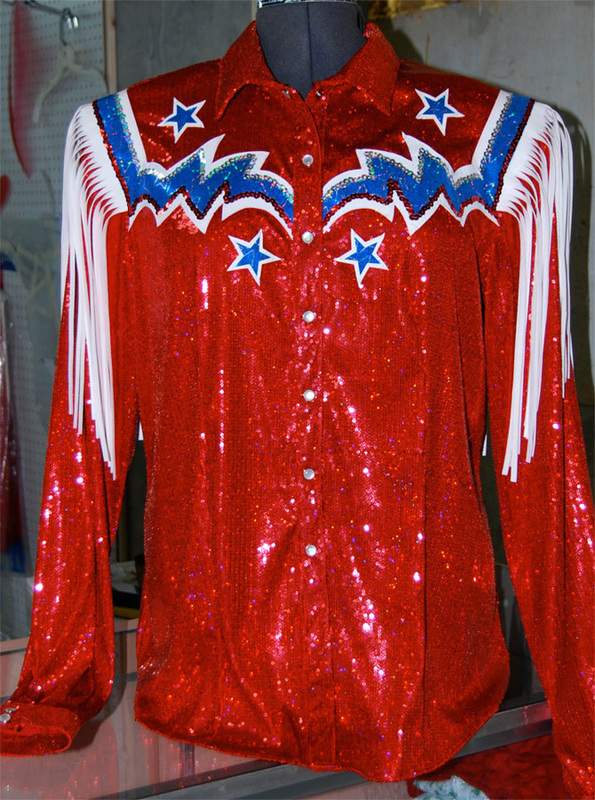 This shirt is made of a spandex blend of red holographic sequin material (allows give). 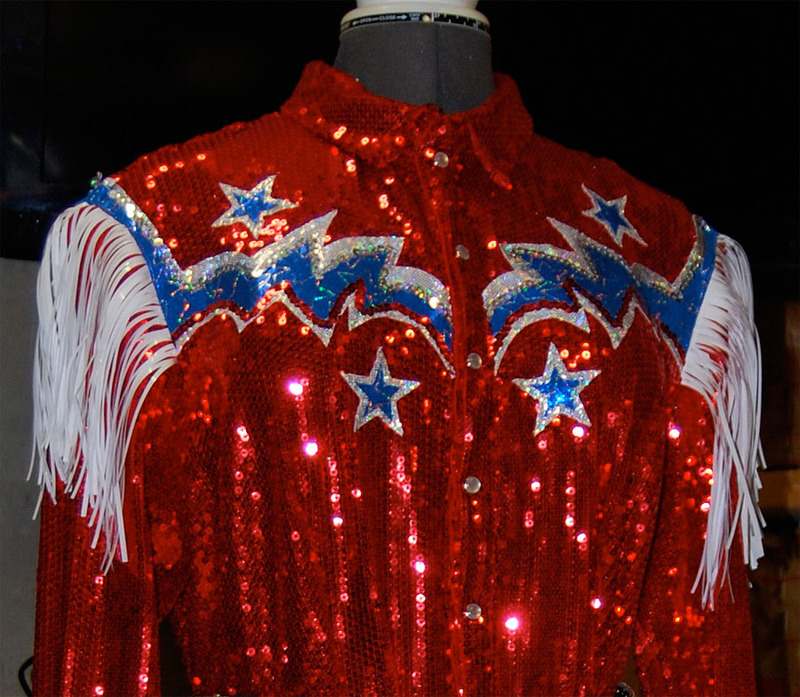 Overlays are made of metallic red cracked ice, blue metallic spandex w/silver embossed stars, and white Ultrasuede. The Fringe is hand-cut from bright white Ultrasuede. 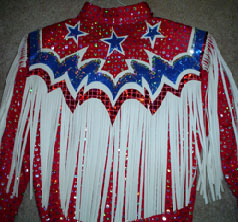 Shirt is embellished with sequins and western snaps. Colors, fabrics and fringe can be changed to suite your needs. 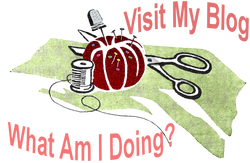 Prices will decrease when using less expensive materials, i.e., mylar fringe is cheaper then Ultrasuede. sequin knit and mylar fringe. It has a stand-up collar and zippered back. 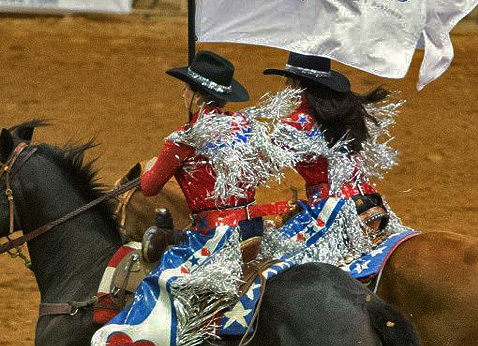 After five seasons, the long mylar fringe on the Rodeo Sweetheart's shirts and chaps still catches the audience's eye when they come bursting through the gates!